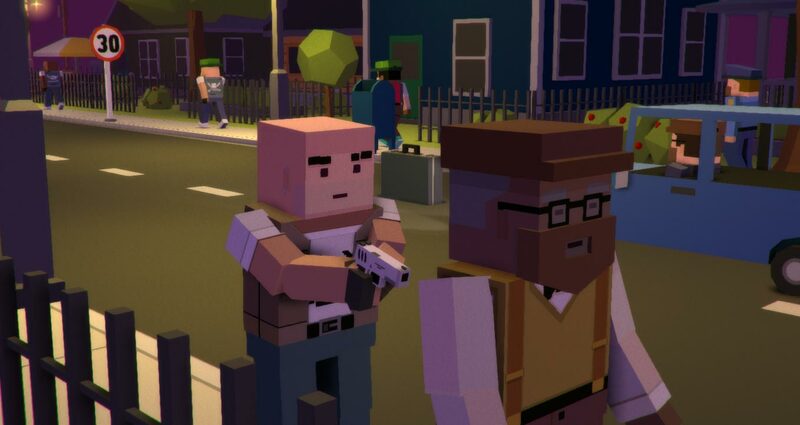 The Editor Update is arriving for Broke Protocol on Steam. This brings the game up to version 0.91 as we march towards a 1.0 release. 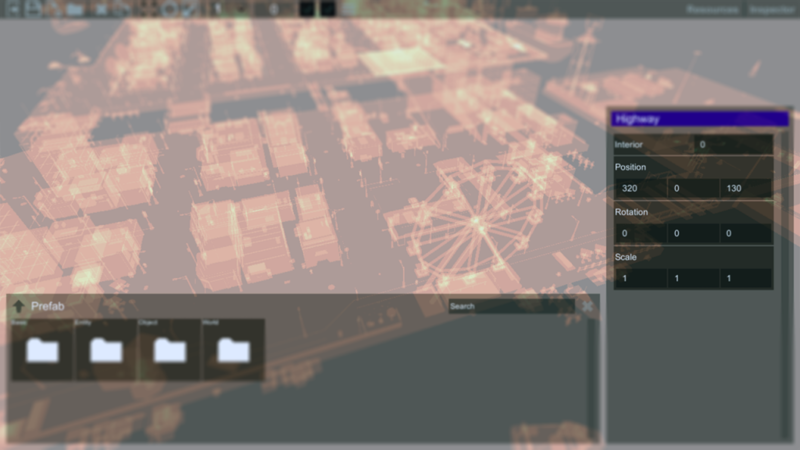 Many longstanding issues have been addressed but the main feature is the new Editor upgrade that make world building easier and more powerful. 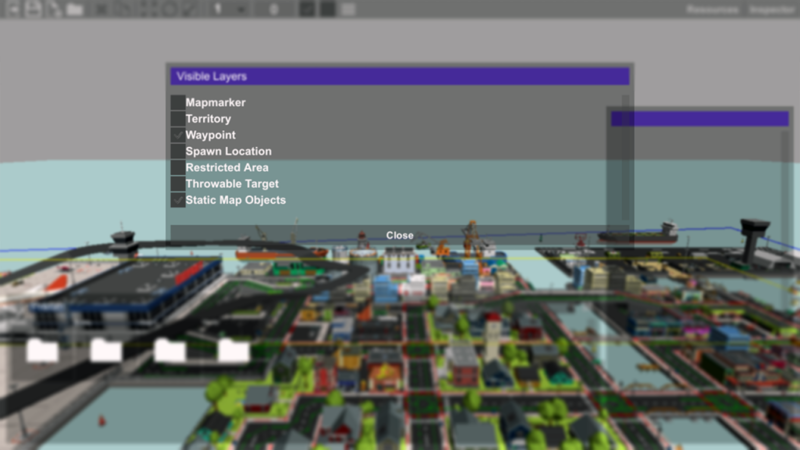 For example, you can now hide different layers on the map in order to make selecting and focusing on the work at hand more intuitive. A new Overdraw rendering mode has been added to make map errors much more obvious. Overlapped meshes will be highlighted in various shades without any texture clutter, making it easier to find small world builder placement or scaling mistakes. Make the cleanest map possible and not only will it look better, but perform better and allow AI to create accurate NavMeshes. 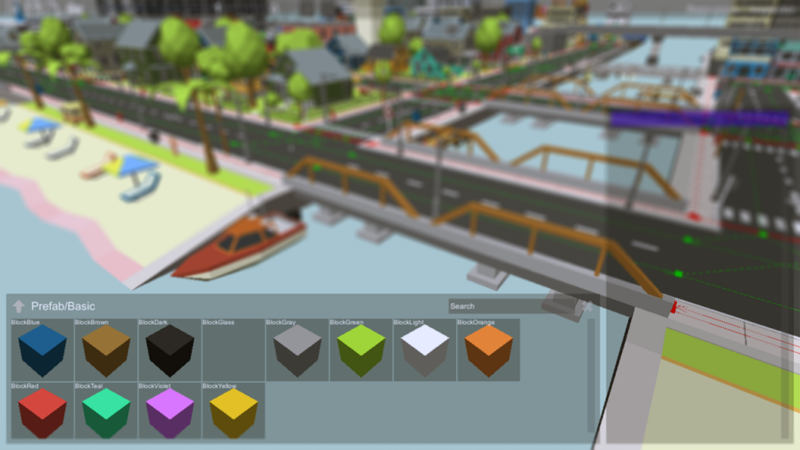 Basic building blocks in various colors have been added. You no longer need to use Seawalls to construct custom designs. Now creators have these basic shapes and can stretch and scale them to create almost anything imaginable. Also a transparent glass block is included for windows or glass cases. Waypointing for AI was a real headache. But now it’s made a bit easier with the addition of Auto-waypoint connections. 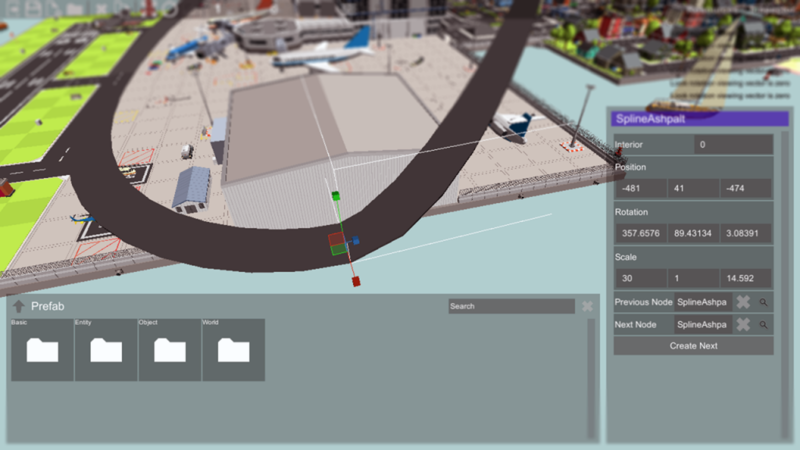 When you have a waypoint selected, quickly add a connecting next waypoint by clicking “Create Next.” This will create and connect the next waypoint automatically and you can move it into place. Note: to close a waypoint loop, you still need to manually link the final waypoint. And most importantly, curved road support is finally here. Under the World sub-directory, are a couple new Spline objects. These can be used to create any curved surface easier using Bezier curves. 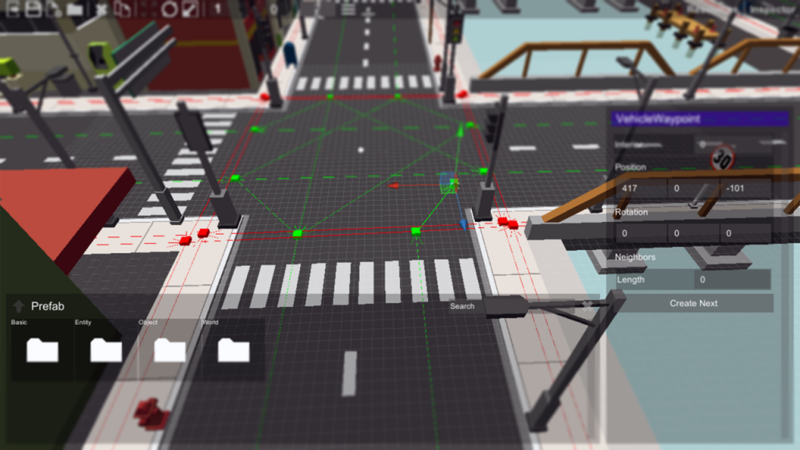 Place nodes at each bend in the road using the similar system as waypoints. Rotate the nodes to control banking and scale the blue handle to control the sharpness of curve. 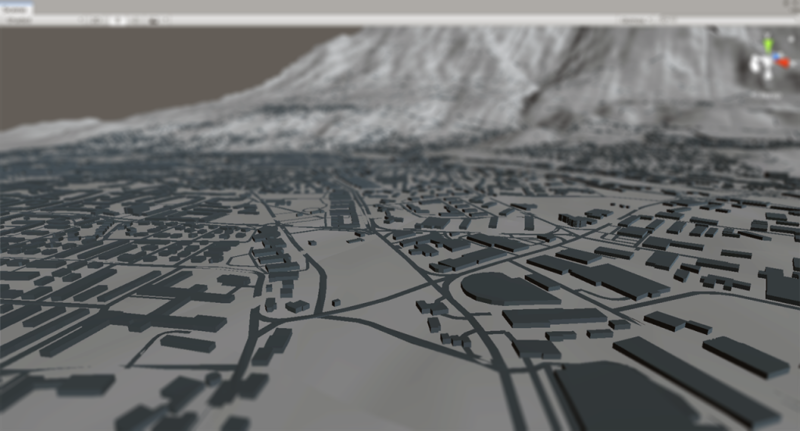 Splines were added to support curved roads than can fit to any heightmap or terrains. Eventually, Broke Protocol will be able to import terrains heightmaps, roads, and satellite imagery from any real-world location using GPS coordinates. These will provide a quick town layout that creators can build on for quick and authentic real-world locations. Plenty more in this update however, check out the full Patch Notes below or check out the preview.